1:14 AM high 5.2 ft.
8:38 AM low -0.5 ft.
3:38 PM high 3.5 ft.
7:58 PM low 2.6 ft.
How to reach: To reach the tidal bench marks from North on Highway #1 in Monterey, take Highway 1 South to Munras Avenue exit, then take a right on Del Monte, turn left on Figueroa Street which dead ends into Wharf 2. The bench marks are in the vicinity of Municipal Wharf NO 2. 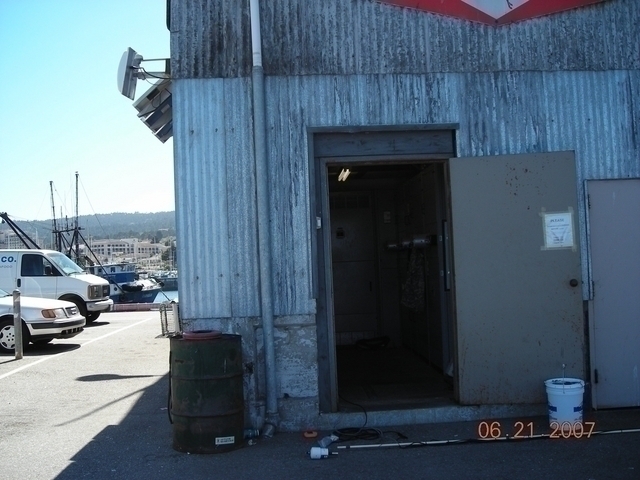 The tide gauge is in the SE corner of Wholesale Fish Bullding in a small room with electrical panels at the seaward end of the pier.